Since the first time my eyes spotted the beautiful sweet lips of my little princess, I was ready to celebrate all things princess. Princess tea party, princess dress up party, princess spa party…we were going to have fun enjoying being a princess as long as she would let me. 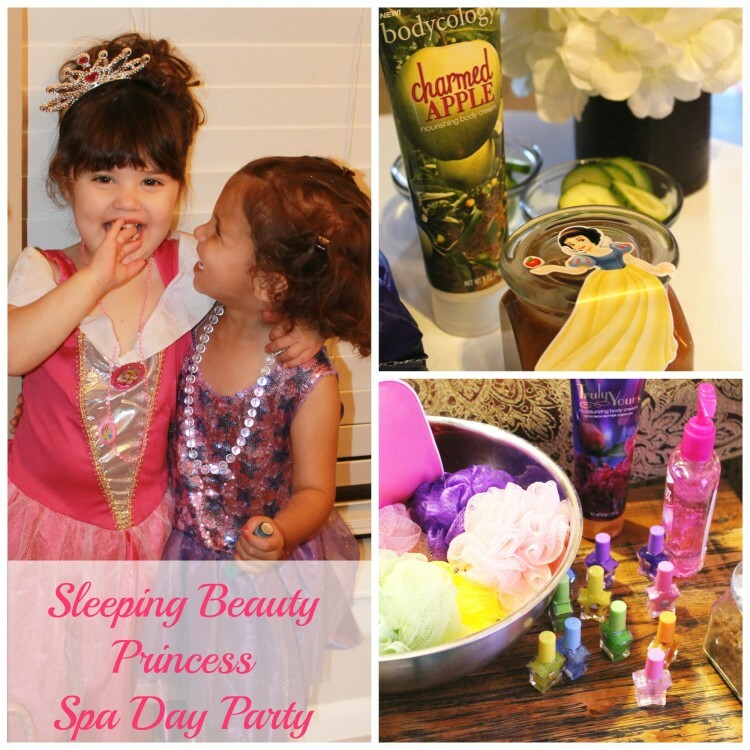 So when Disney’s Sleeping Beauty Diamond Edition DVD Gift Set came out just last week we had the perfect reason to celebrate with a Princess Spa and Watching Party for my little gal and all her friends! 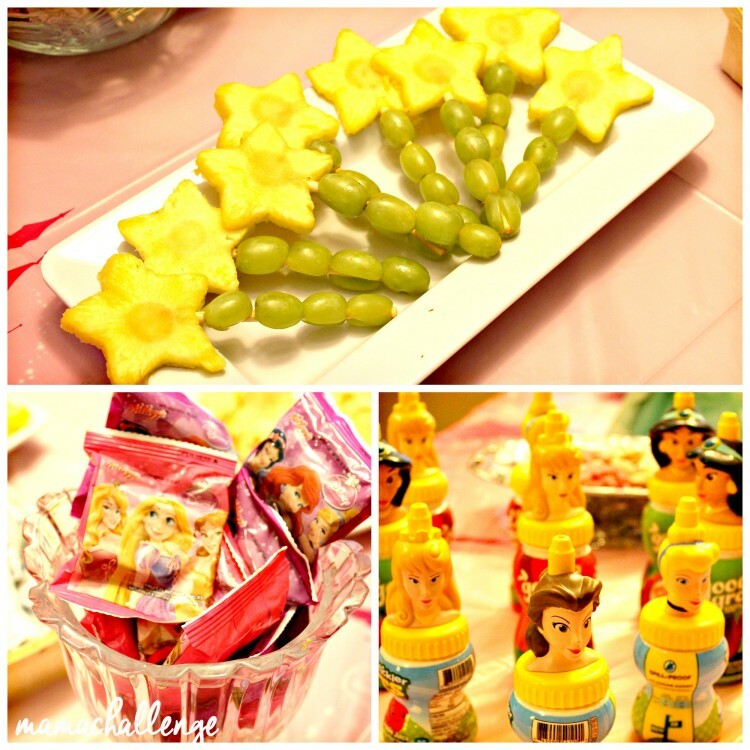 With just a little planning and one easy trip to Walmart for the DVD, the decor from and royal fare, I had everything I needed for the Princess Party. Just look at how cute these invitations are from American Greetings line called DesignWare? They even include the thank you notes, too, so must love a twofer! I couldn’t get over how cute the decor options that were available including everything you need for a party like napkins, plates, utensils, balloons, tablecloths and SO much more like chandeliers, window decor and even beautiful princesses to bring the table, floors, and walls to life! With the invitations, decor and the dress out of the way, I was ready to put together the plan for the evening’s activities. In addition to watching the movie (many of the girls had never seen it) and the refreshments, we had some spa fun to be had. 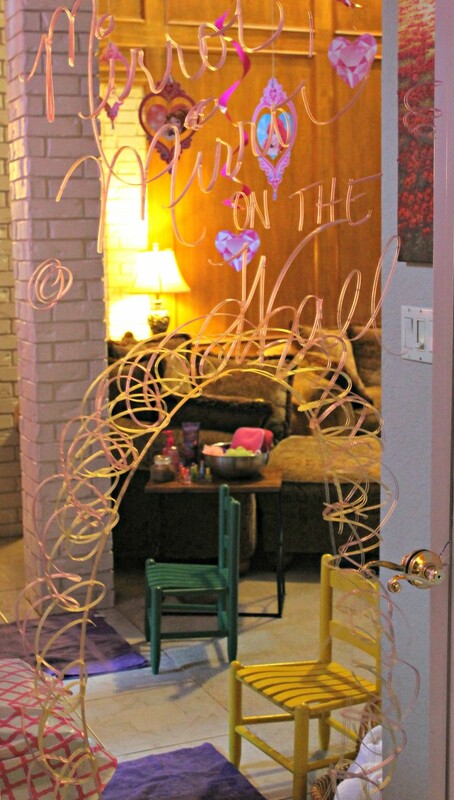 The biggest goal of the evening was to emphasize that every girl was beautiful, so we made use of a mirror and using Crayola Window Markers (also purchased at Walmart), I wrote “Mirror, Mirror on the Wall…” and made sure each little girl knew how beautiful she was with positive reinforcement from everyone. It was such a great way to get the evening started so they felt good about themselves! 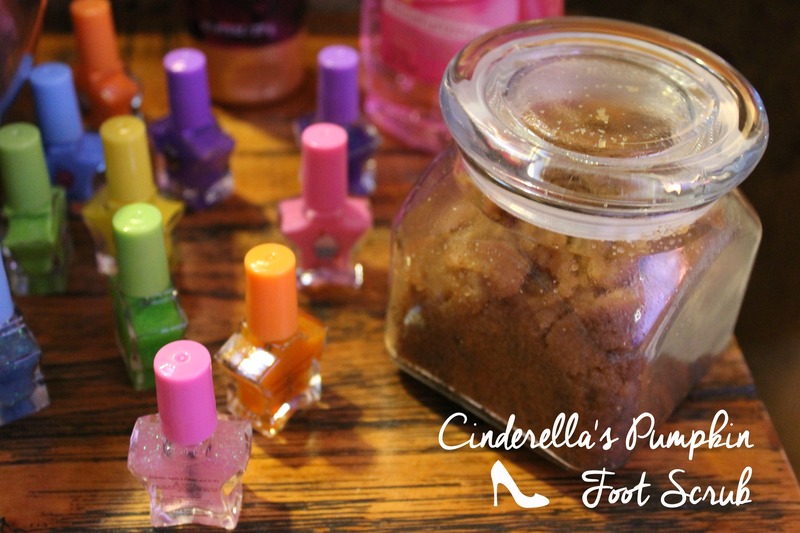 I also whipped up this super easy Cinderella’s Pumpkin Foot Scrub sure to make any foot soft and smooth enough to slide into any shoe! Combine all the ingredients together for a foot scrub sure to make any foot soft and smooth enough to slide into any shoe! 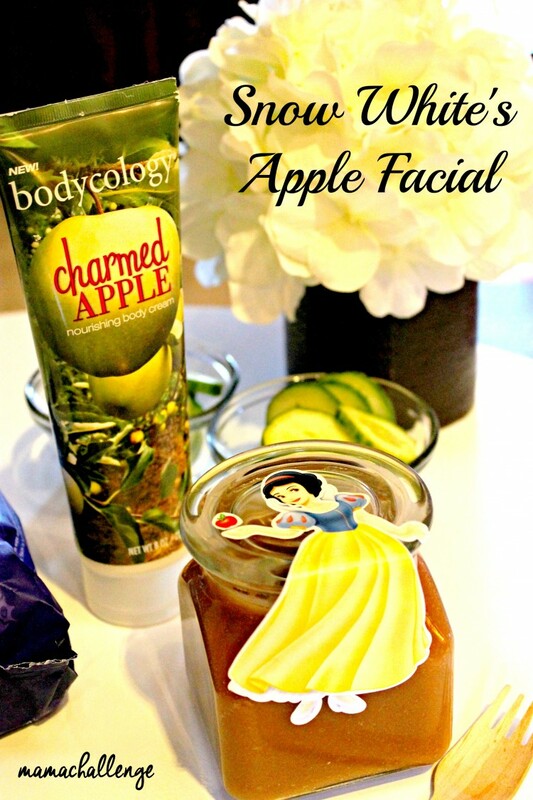 Combining a little Snow White & Aurora from Sleeping Beauty, we did a little fun to put their best face forward! 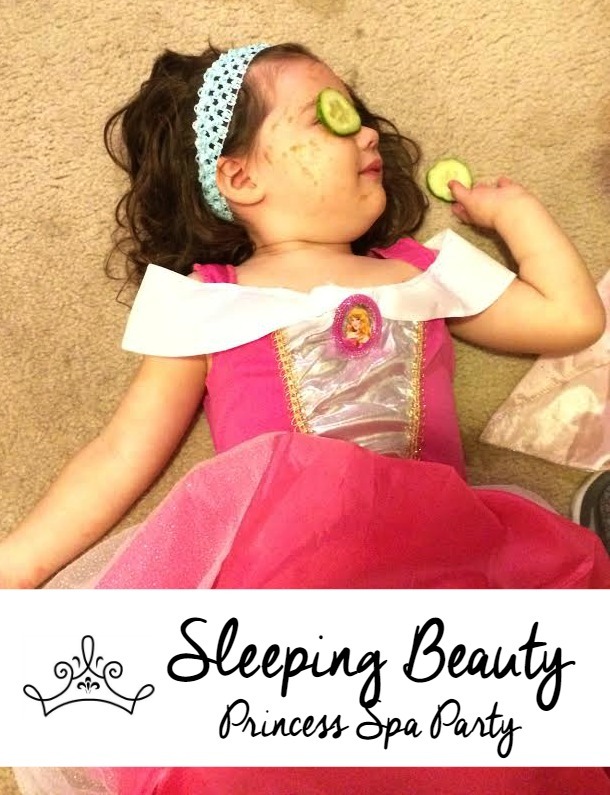 First we applied the apple facial, then the girls were asked to lay down while we laid cucumbers over their eyelids for effect (which they loved and took off in 1-2 minutes), and we rubbed their arms with apple lotion while they relaxed watching the movie. After 10 minutes, each princess facial was removed with a warm washcloth. Then each girl selected their own lip gloss for application and then put it in her favor bag to take home! All princesses have beautiful hair already, but we just added a little something extra shiny to make the girls stand out with tiaras and sparkle spray! 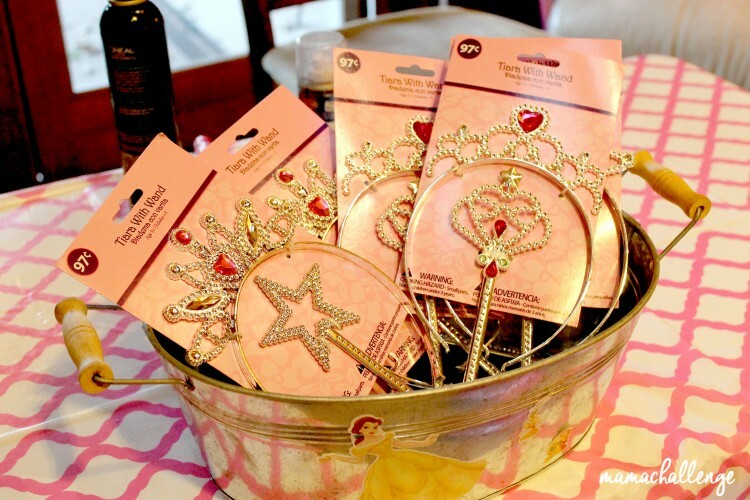 Since it was Halloween it was easy to find sparkles spray and a run through the favor aisle and for under $1 a piece, each girl had her own tiara and wand! We did add some curls, braids and clips to make each of their dos complete, but we opted not to use any brushes to avoid hair issues like tangles or worse! No princess look would be complete without jewels! Taking a cue from Jasmine, each girl was able to select her own bag of jewels from DesignWare to wear for the evening or keep for later princess adventures! Since this was an evening of royal treatment, I couldn’t forget the princess touches on dinner! Everything took about 5 minutes to complete, so this dinner was easier than the one I make for my family on most nights! Princess Sandwiches made with bread, cheese, turkey and cut with a princess tiara cookie cutter! 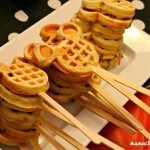 Princess Wands made by skewering grapes to a kabob/dowel rod and adding a star-shaped pineapple slice from a horizontally-sliced fresh pineapple. 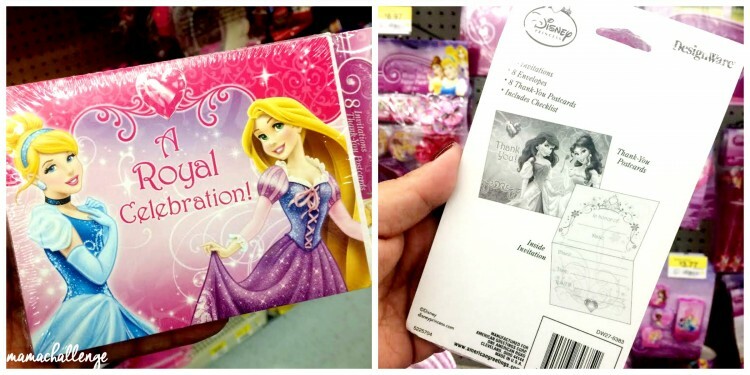 Disney Princess Fruit snacks I found at Walmart in the fruit snack aisle! 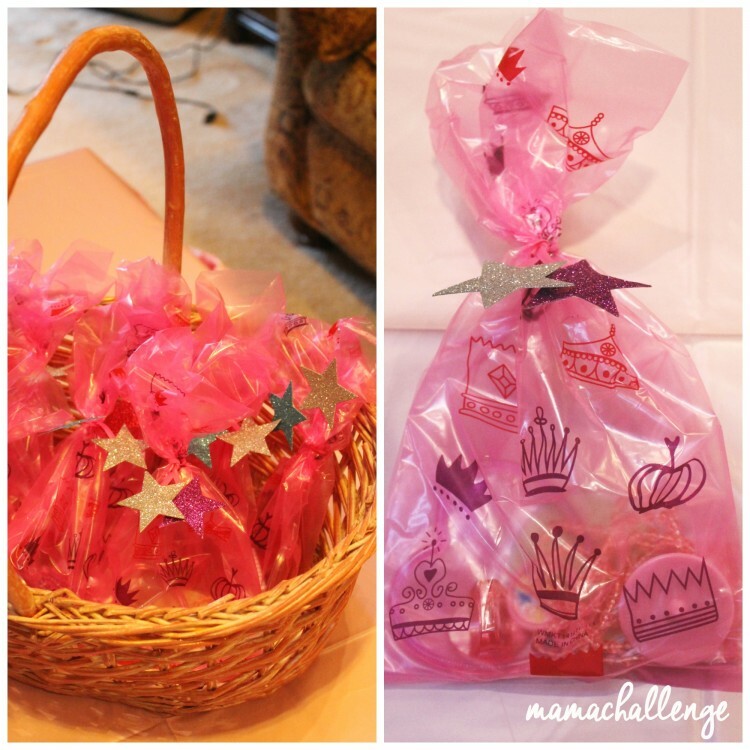 Princess Pink Cupcakes spotted at the Walmart bakery and added a bag of silver favor rings found in the party section for $1! Princess Juice discovered on the water/juice aisle at Walmart with tops so there were no spills as the girls traveled to each station. When the night was over at just about bedtime, we were all sad to see the fairy tale come to an end! But all princesses need their beauty sleep, so each left with their bag of jewels, tiara and wonderful memories of the evening with her princess friends! Awesome party! And I just love all the Princess details! Those wands are adorable, as are all those cutie faces! What a sweet party! 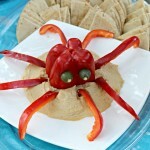 My daughter would love a party like this! 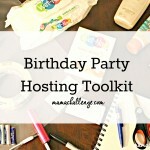 Great ideas to keep in mind come for her birthday! 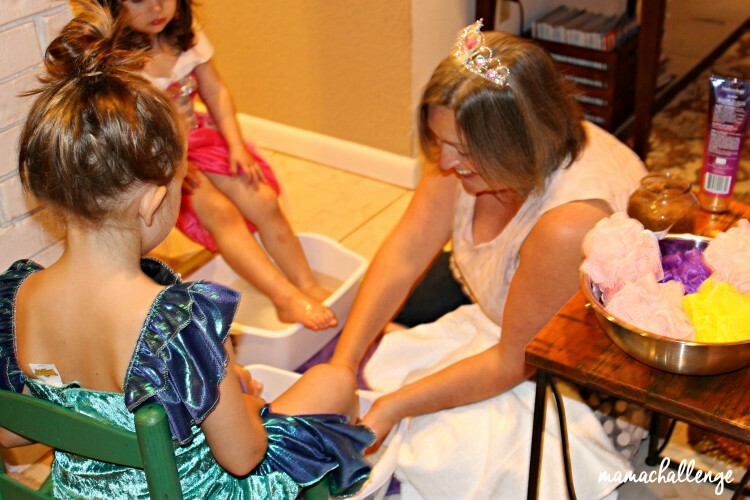 I think these little princess spa parties for young girls are so adorable. 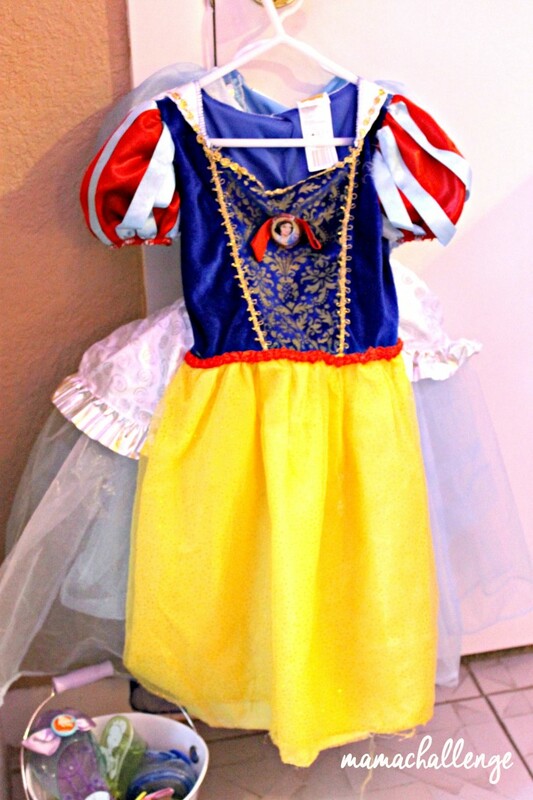 What a great idea to pamper your little princess! 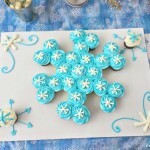 And, of course, who doesn’t love a tea party with yummy treats! 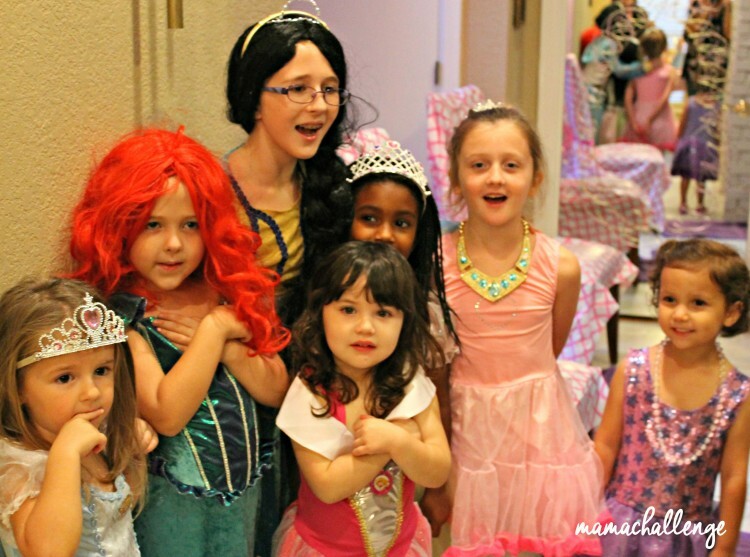 What a fun princess party! There are a LOT of great favors out there, you did a great job! What a cute idea. We are an all boy household, but I bet my niece would love this. Awe, what a fun party to have! 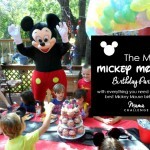 Great idea for a birthday or just for a spontaneous fun day. I bet there were tons of smiles! What a cutie! My daughter would have never let me come within 50 feet of her with princess anything at that age. 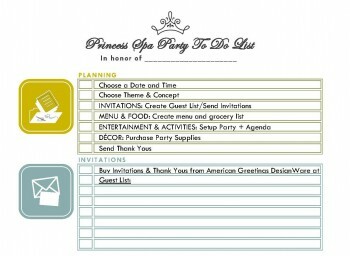 I love the printable checklist! 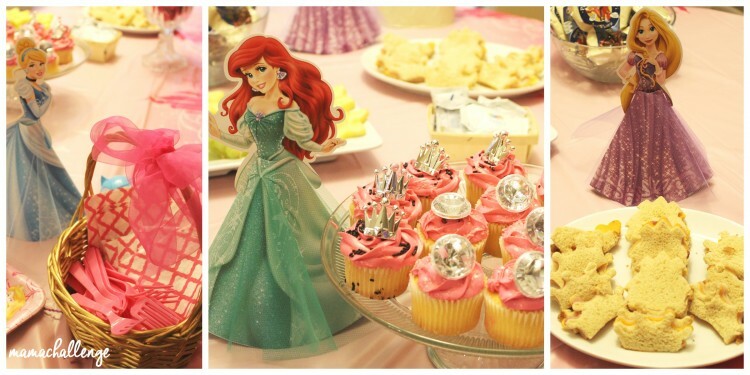 My girls would love this party–all things pink and princess-y! Oh wow, so many fun details! I bet those girls had a BLAST! Every girl’s dream party! Oh what a fabulous time. 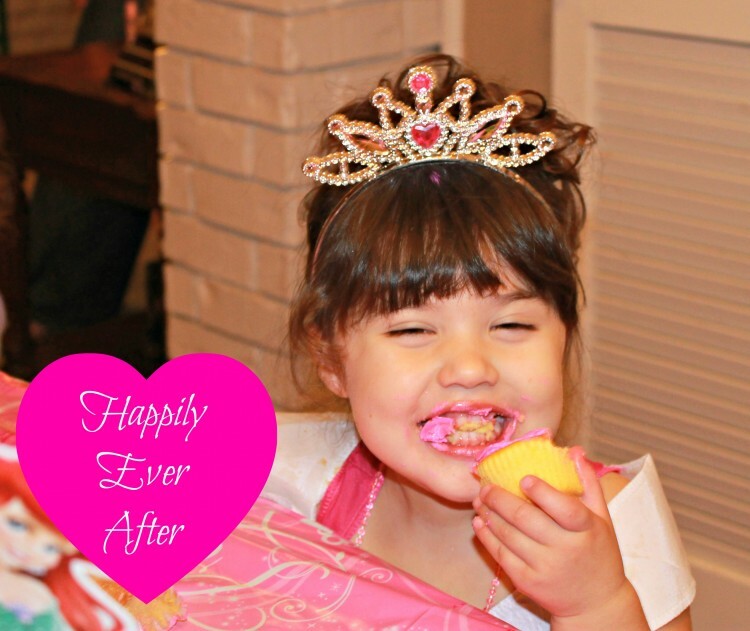 We have two little girls who love Princess parties and would have a blast. What a sweet party. I may be a little jealous. That is too cute! This is perfect on so many levels. 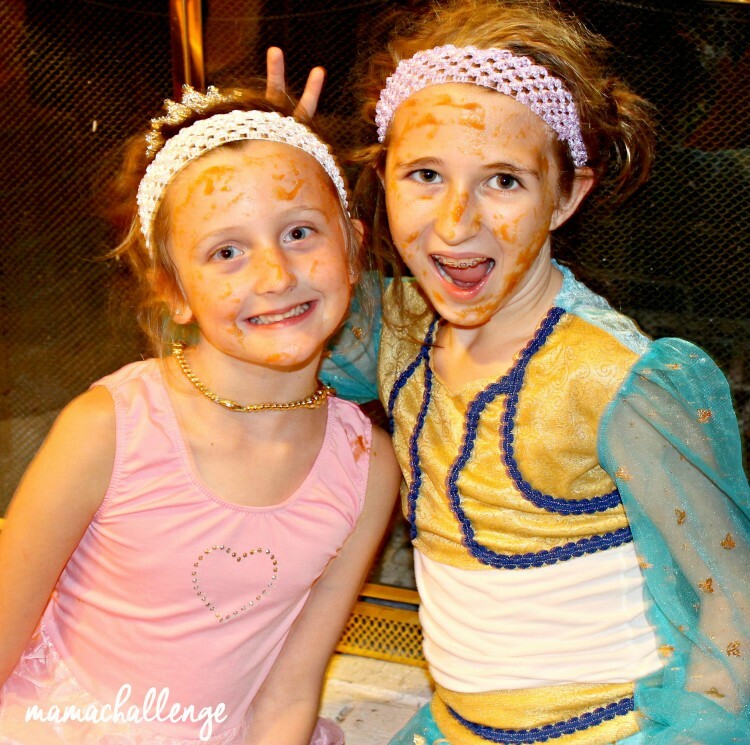 Dress up, princesses, and a “spa” day. 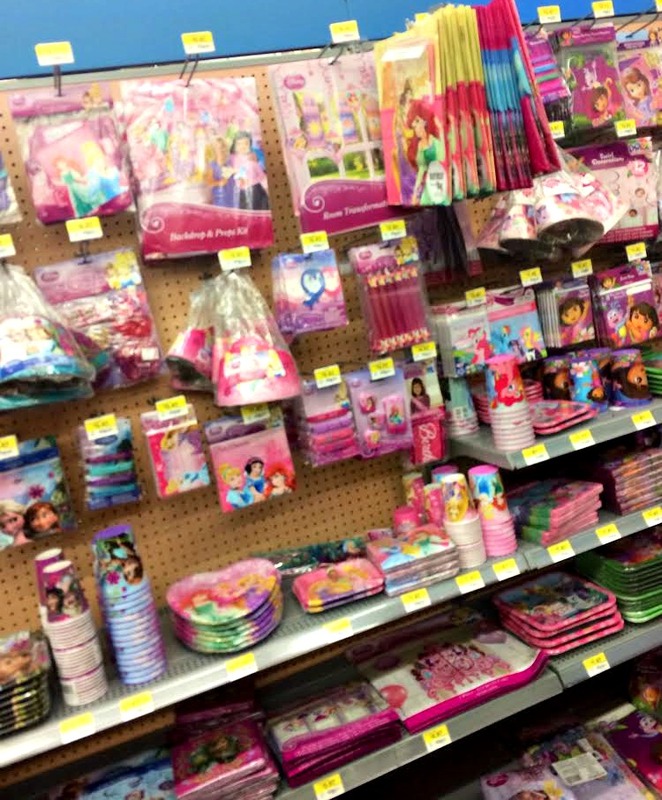 It’s little girl paradise! Aww. 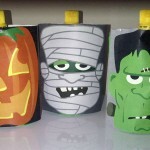 They are so precious with their masks and cucumber eye treatments and pedicures. I love it! This looks like such a fun party! 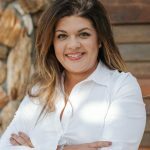 I love the idea of having some spa treatments. You can never start enjoying facials too young. I love it. This first picture you posted made me giggle. What a fun party! My 5 year old would love all of this! Looks like a fun time for sure! I would have loved to get a mini facial too! we just watched sleeping beauty today. it was my daughters first time seeing the film and she loved it. she is so obsessed with disney princesses. your party looks like it was a blast! SO fun! I love all of the different stations inspired by princesses. 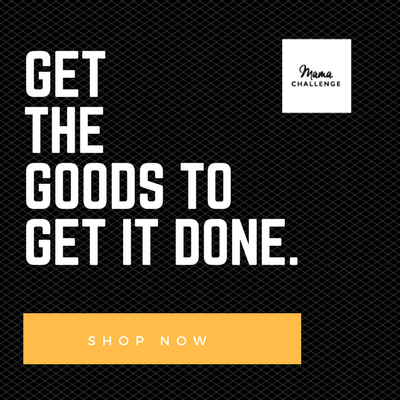 Such a great idea! How fun, every little girls dream to spend a day being pampered! this has got to be the cutest party ever I really like the idea of a spa.